"That was the most painful time of my life. When I was lost in depression, the four of them appeared..."
Naoe Riki was a boy living on the brink of despair. The one to reach out to him was Natsume Kyousuke, a just boy who called himself the leader of the "Little Busters." Every day from then on was like an endless carnival, and the pain in Riki's heart slowly ebbed away. A few years later, the five of them are living in the same school dorm, still living every day like a carnival. But when Kyousuke starts to look for a job, Riki worries that the five friends will drift apart. It's always Kyousuke who does something to cheer him up when he's feeling this way. "Let's start a baseball team. 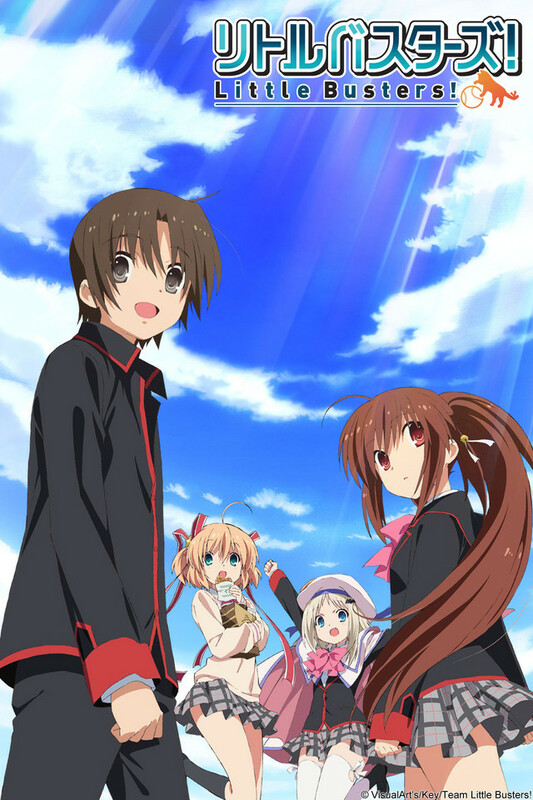 We'll call it... the Little Busters!" And so began their search for new friends. The Little Busters are running at a sprint through their days of adolescence!